815 West Pershing Road is a Class A 104,008 square foot rear-load distribution facility in an in-fill location in Chicago’s near-south side. The building, completed in 2009, is state-of-the-art including 30’ clear height, ESFR, T-5 lighting, 10 dock doors, and 4 drive-in doors. 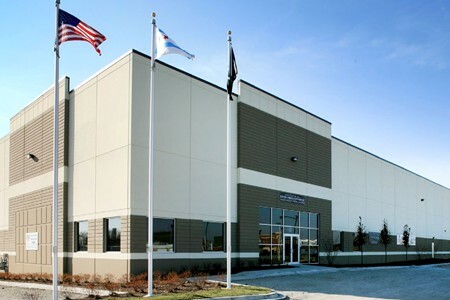 The property is situated on 6.69 acres of land (36% site coverage) and is located less than one mile from I-90/94, two miles from I-55, and adjacent to Chicago Stockyard Industrial Park. Its location offers quick access to downtown Chicago and McCormick Place, as well as all major transportation routes across Chicago and the Midwest. EverWest and their joint venture partner, a large Colorado based institutional investment company acquired the asset in June, 2014.